Rickey Ridge Taxidermy is a full service taxidermy studio. Located in the beautiful Driftless Area of Southwest Wisconsin, we pride ourselves on using only the highest quality materials and tanning products available to provide you with the best piece of wildlife art possible. 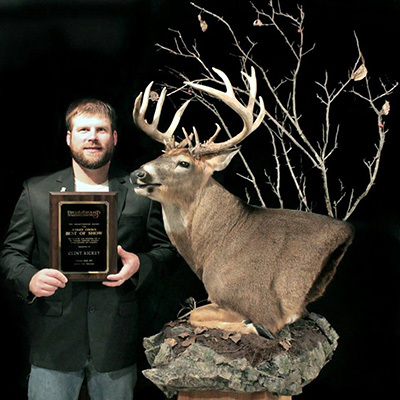 Rickey Ridge Taxidermy specializes in all aspects of taxidermy including North American and African game. We can also assist you with planning your next hunting trip, shipping your hides, horns or antlers, and designing your trophy room to display all your wildlife art. Please feel free to contact me anytime with questions that you may have.